Sun, Jul 8, 2018, 09:35 pm SL Time, ColomboPage News Desk, Sri Lanka. July 08, Colombo: Sri Lanka's President Maithripala Sirisena says important decisions will be taken within the next few months to uplift the country's century-old cooperatives sector. "I too began my working life as an employee of a cooperative. 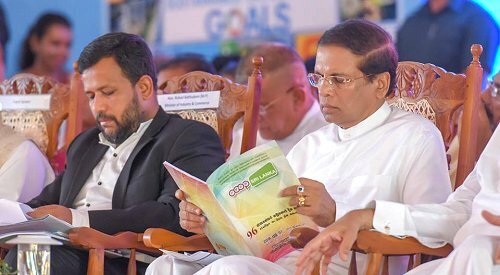 Cooperatives are a peoples' movement-it's a common platform to put forward their issues-to collaboratively voice them," President Sirisena said. The President further stated that the relevant Ministry and the National Cooperative Commission (NCC) under Minister of Industry and Commerce Rishad Bathiudeen should enter in to a more active program in order to solve the issues of the Cooperative movement. Commending Minister Rishad Bathiudeen and his Ministry for many new initiatives launched by them for this sector in the last few years, the President called on the NCC and Minister Bathiudeen to launch even more activities in future to develop the sector. He called the Ministry of Industry and Commerce and NCC to sit with him in the National Economic Council (NEC) in future to develop the Cooperatives sector further. "I wish to resolve any other pending issues of cooperatives at NEC and will launch many other reforms for this sector in the next two-three months. Today's event lays a stronger foundation for the future of our coops and I praise Minister Rishad Bathiudeen and his Ministry for many new initiatives they have launched so far," the President said. Minister Bathiudeen thanking President Sirisena for the support extended to this sector announced several new reforms to revitalize the sector. He announced that with immediate effect all cooperative societies of Sri Lanka are exempted from income tax. Furthermore, all cooperative employees across the country will be given an additional monthly allowance of Rs 1000 from next month and all the cooperative employees will be entitled to a pension from now. Cooperatives struggling with bank loans will be given a reimbursement and a Cabinet Paper to this effect has been approved. As a result Rs 100 million of bank loans owed by coops have already been paid through treasury funds. Another Rs 390 million cooperative loans will be reimbursed by the Ministry in the future with the support of Treasury, the Minister said. He said that heavy vehicles to cooperatives at low rates will also be provided now since the President has given his approval. "All these new decisions have been arrived at to make this important movement a key driver in the economic growth and reform vision of the Unity government," the Minister said. 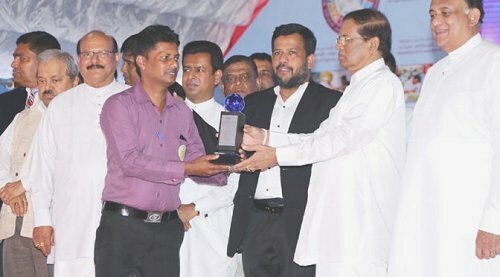 President Sirisena also presented awards for the winners of the competitions held to mark the International Cooperative Day. Sri Lanka's cooperative sector completes 114th anniversary this year.